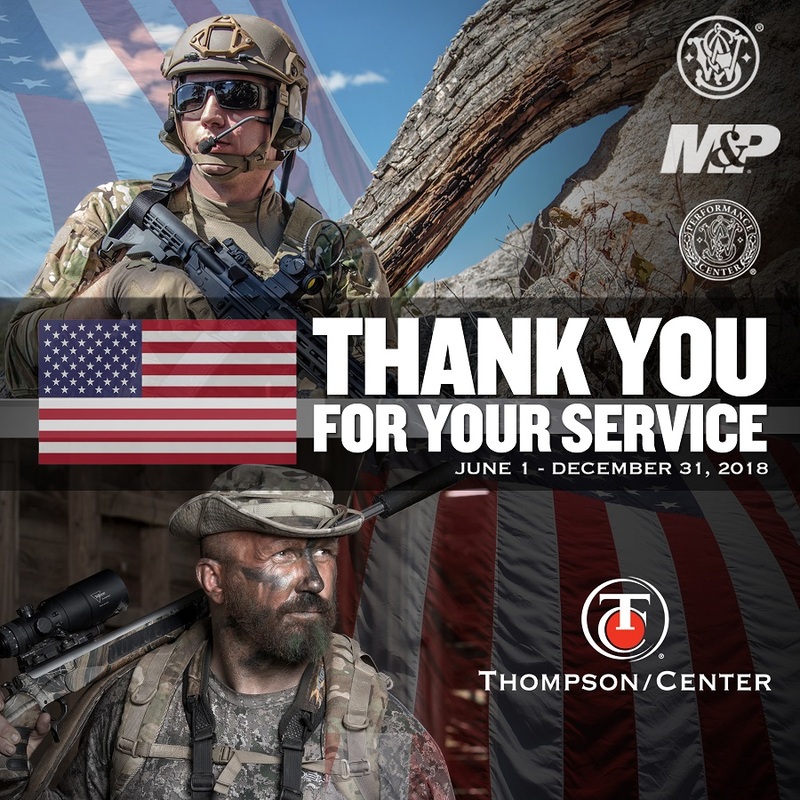 Smith & Wesson Corp. today announced that Smith & Wesson and Thompson/Center Arms have established a new military appreciation program, named “Thank You For Your Service.” This new program offers eligible United States Armed Forces personnel a discount on qualifying Thompson/Center and Smith & Wesson firearms purchased from June 1, 2018 to December 31, 2018. This program applies to all active duty, honorably discharged, retired, or disabled members of the U.S. Armed Forces or Reserves. To participate in the “Thank You For Your Service” electronic rebate program, customers must complete and submit the online rebate form at www.smithandwessonrebates.com. All submissions must include proof of purchase and be submitted on or before January 31, 2019.